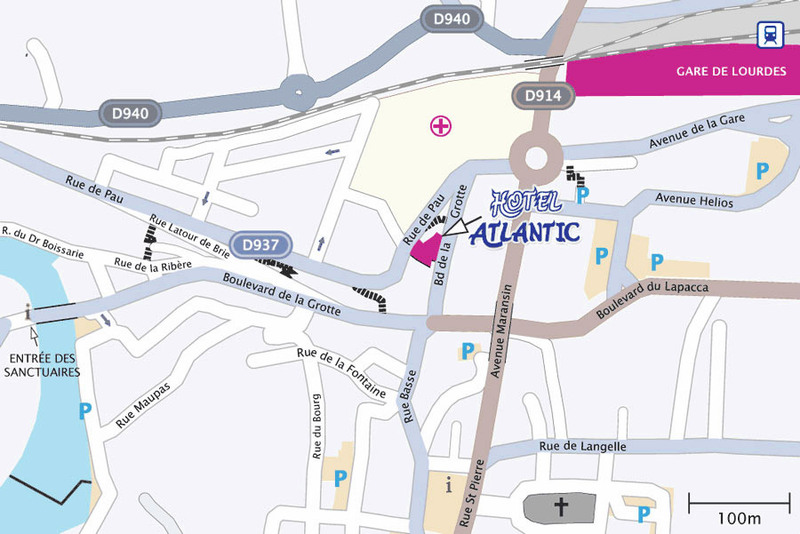 How to get to Hotel Atlantic Lourdes? The Hotel Atlantic benefits from an ideal location in Lourdes. We are located in the historical center, 350 meters from the train station and 5 minute walking distance from the sanctuaries entrance. The close distance to shops and services also offers easy access to all the city's amenities. Click on the map to enlarge the image. How to get to Lourdes by car? How to get to Lourdes by plane? How to get to Lourdes by train?